KITCO Fiber Optics, Inc. and Marmon Aerospace & Defense, LLC are proud to announce both have been AS9100D and ISO 9001:2015 certified. These are the latest revisions of the quality systems certifications defining all business behaviors critical to the quality of Aerospace and Defense Manufacturers and Service Providers. 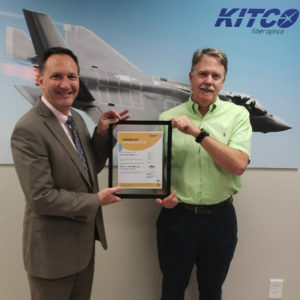 KITCO Fiber Optics and Marmon Aerospace & Defense would also like to recognize the contributions of our supply chain partners for their continued support in maintaining the quality systems needed to deliver right the first time. 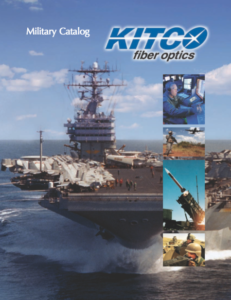 “Quality is essential to our companies’ contribution to maintaining the superiority of our Nation’s critical defense platforms,” added Marc Steiner, Vice President, General Manager, KITCO Fiber Optics. 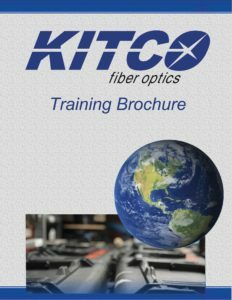 Please contact us for more information about KITCO Fiber Optics and Marmon Aerospace & Defense full connectivity solutions.